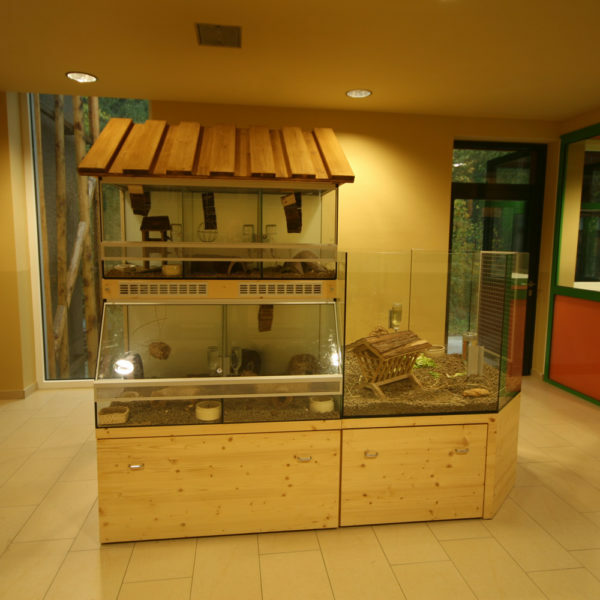 What’s the best way to build for animals? 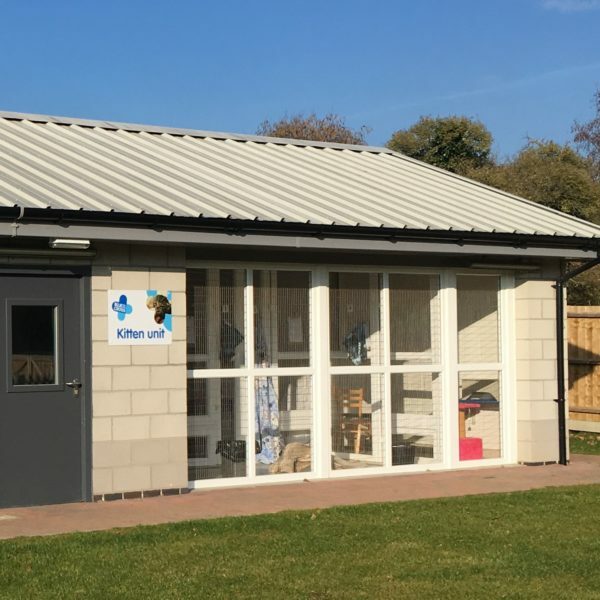 Having designed thousands of kennels and cat pens, across all manner of rehoming and boarding centres, as well as stables and pens for smaller animals, we’re certain we can help you with your build, or improve on any existing plans. Working with some of the leading animal welfare charities in the country, we have helped develop some of the industry standards and have a detailed understanding of the guidelines you will have to meet. We are also a sponsor member of the ADCH (Association of Dogs and Cats Homes) and keep up to date with the recommended practices in the sector. 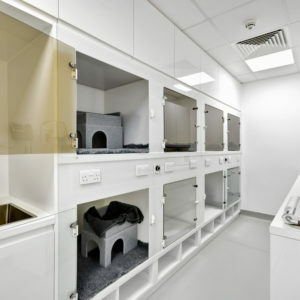 All of our cattery and kennelling units are designed in such a way to take into consideration heating, lighting and ventilation requirements, which helps create a fear-free environment and allows good interaction between staff and animals. We have tried and tested numerous floorings and materials over the years, including tiles, vinyls, glass, UPVC, galvanised and stainless steel and can advise you on the pros and cons of each so you know you’re making the right choice for your centre and for your budget. 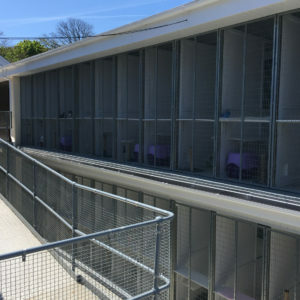 Noise can often be a major concern for our clients, we can help you design and build a kennelling facility that can reduce the acoustic levels, making it stress-free for the dogs, the staff and your neighbours. At ACD we have an in depth understanding of the requirements for knock-down, transportation (e.g. during operations) and recovery. 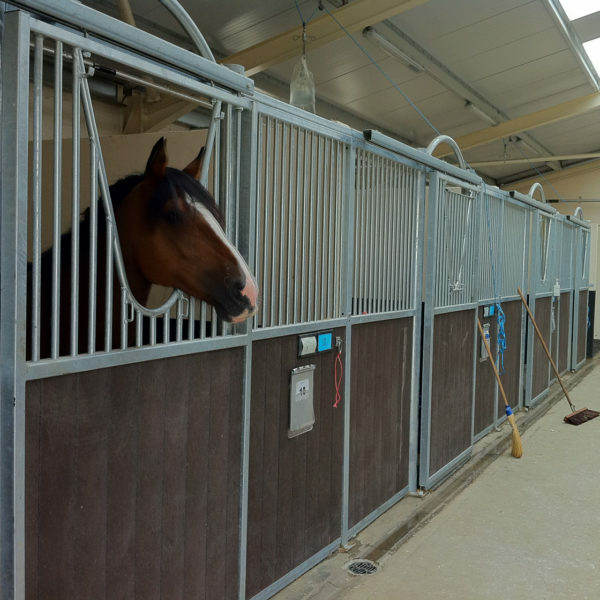 We can advise you on materials and designs for stabling, isolation and rehabilitation, including exercise, lunging, ménage and trotting areas. 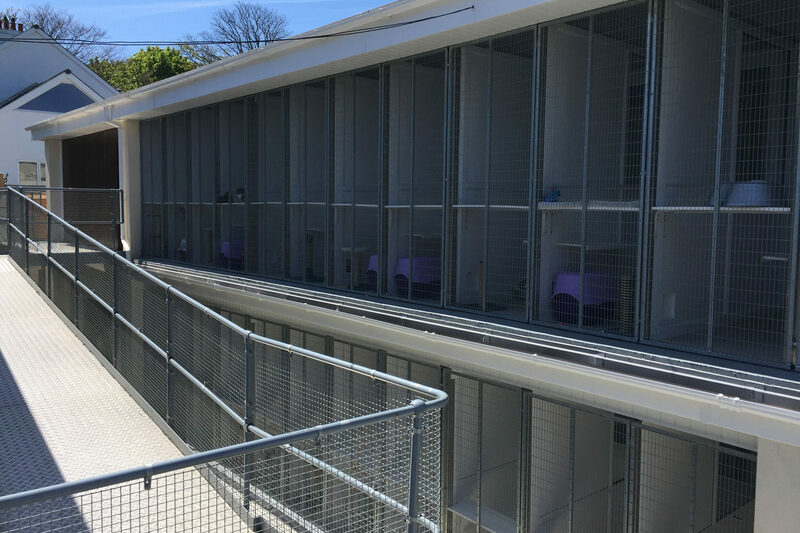 With the same principals in mind that we use for our catteries and kennels and experience from previous dedicated builds, we can advise on designs for small animal enclosures, including rabbitries and wildlife barns. We understand the need to prevent the spread of disease in these areas and to create appropriate habitats to make them as fear-free as possible for the animals. 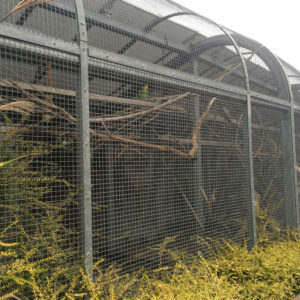 Over the past 25 years we have been involved in the design and installation of many kennelling and cattery enclosures. Whether it’s a refurbishment or a new build, we’ll have a solution to suit any budget. By using our computer software to design and model the building in 3D, we can produce images for your benefit, as well as for the contractor’s understanding. 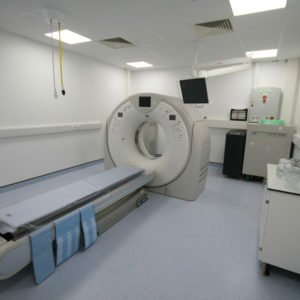 Our clients often find these useful to help gain the required funding for the build. We work in partnership with our clients to agree a comprehensive brief of their requirements for the management, monitoring and implementation of their project, and would be delighted to talk to you about your project. Please feel free to contact us using the form below.